A student nurse at the Federal Teaching Hospital, Ido Ekiti, Ekiti State, has tested positive for Lassa fever, the state government announced on Monday. The state Commissioner for Health, Dr. Olurotimi Ojo, who broke the news in Ado Ekiti at the stakeholders’ meeting on Lassa fever, said that the medical team was working hard to save the patient, who had already been isolated at the hospital. Ojo said the Chief Medical Director of the hospital, Dr. Lawrence Ayodele, had confirmed that the unnamed patient is a student of the School of Nursing at the teaching hospital. He said the patient was said to have been treated for malaria and typhoid fever with high-profile antibiotics, but did not respond to treatment. He said the situation led to further laboratory investigation where the patient was said to have tested positive for the disease. 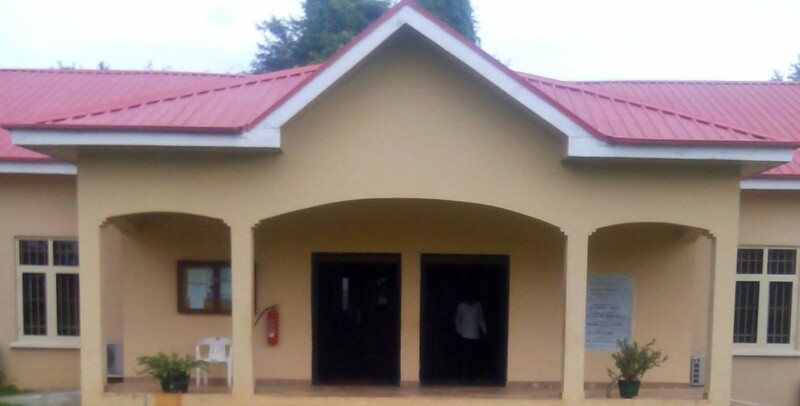 The commissioner added that the state government had created an isolation ward on the premises of Oba Adejugbe General Hospital, Ado Ekiti, even before the outbreak of the disease in the state. So far, 44 persons had died of Lassa fever since its outbreak in 10 states in the country. However, the Nigeria Medical Association on Monday in Abuja urged the Federal Government to revamp the three laboratories in the country. The NMA in a statement by its President, Dr. Kayode Obembe and Secretary-General, Dr. Adewunmi Alayaki, also declared Lassa fever as a national epidemic. It stated,” The Federal Government should get the remaining three reported laboratories in the country that are able to identify the Lassa fever virus to full operation and/or establish new ones to augment these. “This is very important in the Calabar-Enugu-Makurdi-Yola-Maiduguri areas of the country to augment the functioning ones in Lagos, Ibadan, Irrua, Port Harcourt, Abuja and Kano. “The dry season (such as we now are in) is usually the highest season of Lassa fever because of bush burning that drive these rats from the bushes into the homes, preferably. Other local and cultural habits of drying foods on the roads, streets and even around houses carelessly also provide avenues for the spread of the virus. Meanwhile, the Rivers State Government on Monday said it had isolated another suspected case of Lassa fever in the state. The state Commissioner for Health, Dr. Theophilus Odagme, said the patient had been admitted to one of the three centres established to manage the outbreak in the state. Odagme, who spoke through his Press Secretary, Mr. Paul Bazia, listed the three centres as Porp Johnson Health Centre, the VIP Ward at the Braithwaite Memorial Specialist Hospital and a space inside the University of Port Harcourt Teaching Hospital. The commissioner also said that apart from the person that had been admitted into one of the centres, about 250 were under surveillance. The Trade Union Congress called on the state and federal governments to expedite action in containing the spread of the disease across the country. According to the state TUC Chairman, Mr. Chika Onuegbu, some Lassa fever deaths in the rural areas had gone unnoticed as a result of the low level of public sensitisation on the disease. “We are worried that the Lassa fever epidemic is not given the attention it deserves in the state and this could lead to several more avoidable deaths. We call on the Rivers State Government to keep the public regularly updated on the Lassa fever outbreak in Rivers State,” Onuegbu said. Meanwhile, The Director, Abuja Environmental Protection Board, Baba Lawan, has stated that the board may reintroduce Special Sanitation Days initiative and commence a city-wide fumigation exercise in the FCT. In a statement issued by the AEPB Head of Information and Outreach Programme, Joe Ukairo, on Monday in Abuja, Lawan advised residents to avoid contact with rats, the animal host of the disease.